With the widespread use of innovative technologies such as cloud computing and virtualization in data centers, the data center is ushering in a new moment of change. 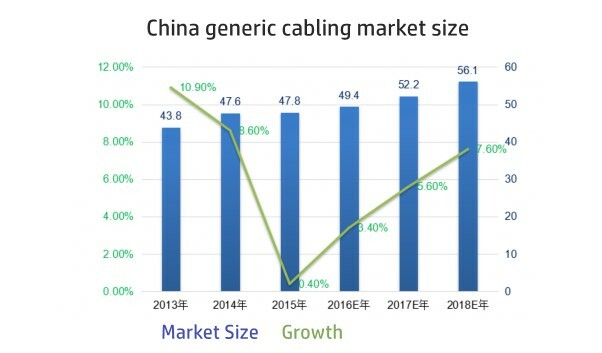 According to the data provided by third parties, the size of China’s cabling market in 2014 was about 4.76 billion yuan, an increase of 8.6%. Among them, the data center market capacity reached 1.28 billion yuan, an increase of 2.4%, accounting for 26.8% of the entire cabling market. The data center has become the second largest application of integrated wiring, data center growth in the next few years will be more than the proportion of integrated wiring industry. According to the third party market survey, the data center’s demand for electricity has doubled over the past few years and is forecast to grow by 70% in the next 5 years, and carbon dioxide emissions are a big part of the data center’s energy consumption, which could overtake aviation companies by 2020, so how to optimize cooling is key. The energy consumption of the green data center is cooled by IT equipment, power supply, and power distribution components, including cooling systems and IT equipment accounted for the largest proportion, so we recommend cabling system to reduce the consumption of IT equipment and cooling systems, the second is to improve the efficiency of power supply, in the distribution of electricity to use more optimized power transmission equipment. Use the up-line method to increase the floor air flow space. If you take the floor down line, the cable routing is best under the hot channel. If you want to go under the cold channel floor, the cable routing direction should be opposite to the air flow direction, while using the appropriate size of the line groove to reduce the flow and impact of cold air. The cold/hot channel recommended the use of plugging measures to reduce the mixing of hot and cold air. The unused space in the cabinet needs to use the baffle to isolate the hot and cold air. The use of smaller diameter cable, the installation space is relatively small, the data center of the mobile space is relatively large, the effect of heat dissipation will be better. A dedicated power supply and ventilation system are recommended in the high-density equipment area. In a flat data center, the network structure as shown below, through the introduction of telecommunications providers, to the router, and then to the security device firewall, and then to the core layer switches, convergence layer switching equipment, access layer switching equipment, host, server mini-computer Device, and then connected to the SAN switch device, and finally to the storage device. With the rapid development of electronic information system, Internet access is more and more, the user’s volume and speed have a new demand, but now the network cable can not meet this demand. 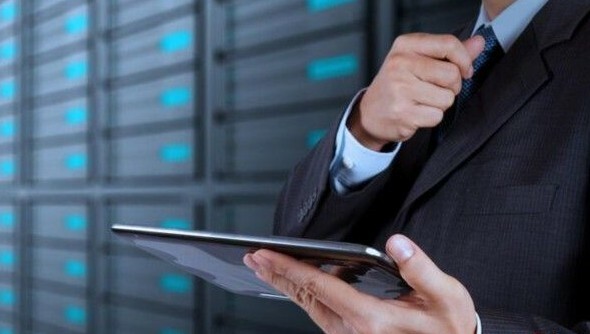 Therefore, it is recommended to use high-density, high-performance data center solutions. By the data provided by third parties, the application of the fiber optic system in the data center increased from 41% in 2014 to 49% in 2015, an increase of 8%. Pre-terminated cabling system from 63% in 2014 to 2016 67%, indicating that the use of more and more fiber cable, copper will be less and less. Fiber optic equipment, the spectral power is about 0.8 to 1.2W, in the current application of the CAT 6A solution, the power consumption is about 5W, higher is 5 to 6 times than the fiber. Because the fiber is non-metallic, so in high-speed Ethernet transmission, the power consumption is about 0.08W. High-speed signal transmission, fiber-optic heat dissipation than copper cable less. Moreover, the optical fiber cable diameter is small and occupies less space, which can increase the air flow rate, so the optical fiber system satisfies the larger bandwidth and the higher efficiency. MPO solutions in 40G and 100G network applications delivered to 100 meters to 150 meters, can avoid the limitations of future network upgrades. MPO’s fiber optic system has been pre-terminated at the factory to ensure the stability of the entire fiber. MPO density is 12 core and diameter is 12.6 mm, cat 6A’s diameter is MPO 2 times, you can save 40% of the installation space. Compared to the traditional system, MPO in the cabinet need less spare parts, can save the installation space of the cabinet, reduce the installation cost of customers energy. MPO installation does not need to install tools, wiring difficult, effectively improve the fiber cabling efficiency, for the later management provides convenience and flexibility.